Last Saturday I went to support my friend Nicole Mallalieu (Nikki) as she presented a talk in a series entitled Creative Women in Focus. The talk was held at the Duldig Studio, it was near my home but I had never visited nor heard of this Studio. I’m so pleased I attended. Nikki’s talk was very interesting talking about her creative path from childhood dress making, progressing to leatherwork, hatmaking and of course her highly successful pattern making and sewing books and classes. Her story fitted in nicely with the venue. A family space that celebrated creativity. The Duldig Studio is the family home of Karl Duldig and Slawa Duldig and their family. I was incredibly fortunate to meet the daughter of this family, Eva, and she gave us an intimate tour of the studio. Whilst it is a small venue, it is of course a 1950s family home, the creativity is simply bursting from the seams! 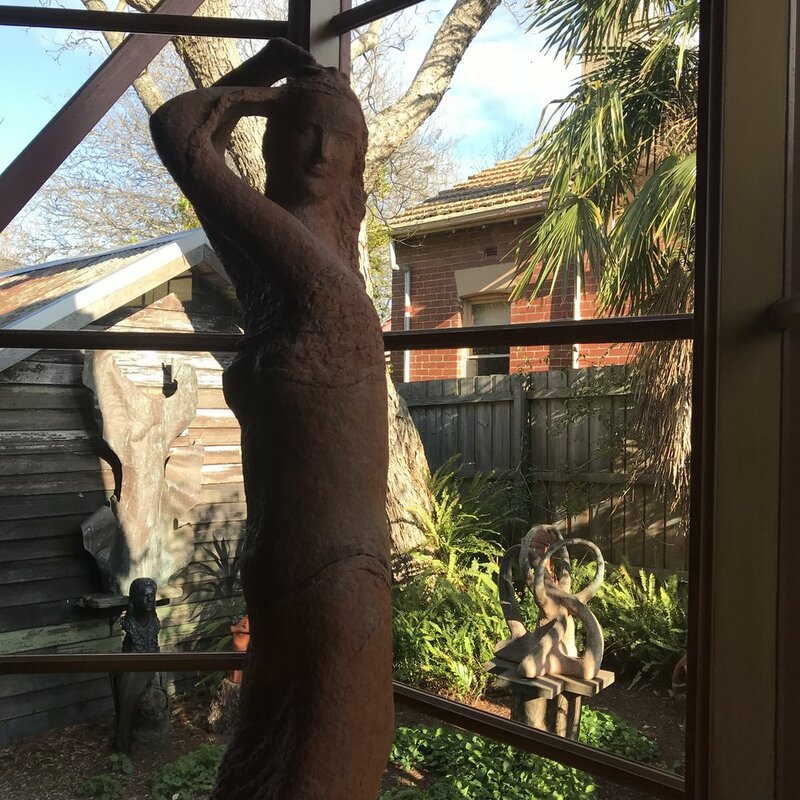 The home/studio is filled with ceramic masks and sculptures, bronze figures, paintings, drawings and beautiful furnishings. The story of the Duldig family and their journey from Austria in 1938 (fleeing the Nazi invasion - Anschluss) is remarkable, with many of the pieces on display including light fittings and furnishings being the same pieces that graced their home in Vienna. The family story and the artwork combined make it a fascinating space. I was absolutely thrilled to see this wealth of creativity and I can’t wait to go back for another visit. There are other talks and events upcoming, including a book club run by Fiona Clarke on the first Thursday of each month. Such a diversity of arts. Furniture, sculpture, painting, ceramics.